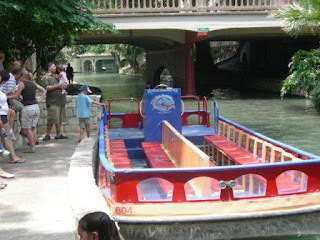 One of the highlights of your river walk tour would be to go on a barge ride such as the San Antonio cruises at the River Center Mall. 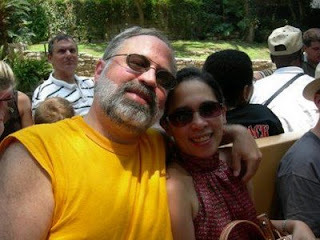 You can also try a romantic barge ride under a canopy of 200-year old cypress trees. We saw a wedding being held on the barge, and we thought it was cute and romantically unique! 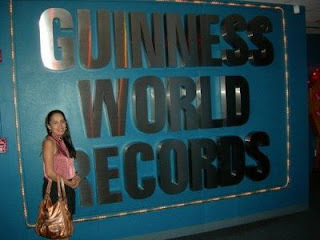 We have been visiting Guinness World Records a lot, but since it was there, we decided to drop by. Strictly no photo allowed here. This is a new attraction, so we tried it. To go inside, you will be taken in by a cage-like elevator to the second floor and you’ll be greeted by a scary faced guy. It was like a maze finding your way out in a super dark room. Those men disguised in ghostly outfits with painted scary faces scares you to death! Oh, boy!...don’t try going all alone unless you’re tough enough to play with them inside the dark! You couldn’t even figure out where you are going. Those disguised ghosts are real people, so that’s the good news, LOL!...inside, they scare you and might even pat your back..Boooo!!! There are so much more to see and discover. These shows and rides are located just across the Alamo Plaza.